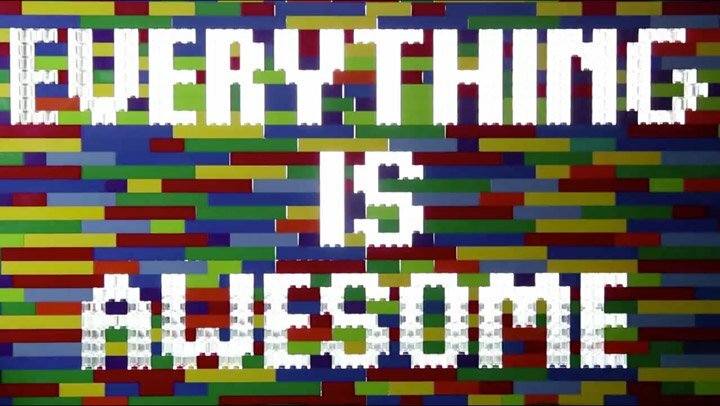 The language of culture today is defined by hyperbole: everything is awesome — unless it’s not, then it needs to die in a fire. It’s a style thing, and it will probably pass, but even though it’s obvious and amusing, the implication that the only options for criticism are unbridled enthusiasm or profound hatred makes for a toxic environment. Reviews, even bad reviews, are desperately important for creators. They are how we know if we’re accomplishing our task. Milquetoast reviews of “Liked it,” or “It’s okay” don’t really say anything. I’ve often argued that bad reviews are among the most important for a creator, since they help to determine if we’ve found our audience or not. No book, painting, play, video game, poem, dance or song will be to everyone’s taste, not should it me. Art is individual, taste is subjective. Good reviews help me know I’ve found a receptive audience, but bad reviews help me refine what that means. Bad reviews show me where I’ve hit people’s buttons, where I differentiate my work from someone else’s. And they also show me where I went wrong — where I alienated an audience I wanted to reach. They are a key component of my work. But the language of hyperbole that pervades popular criticism is as meaningless as vague words like “fine” and “okay.” When everything is awesome, nothing is great. And when everything else should be nuked from orbit, other issues arise. Criticism is necessary for art to thrive, positive and negative. But creators are human beings and most of us are very close to our work. When we hear people talk about our work in deeply personal, passionately hateful ways, it hurts. And when we are hurt, sometimes we lash out. Worst still, when most negative criticism is counted in hateful terms, even reasoned and intelligent criticism becomes tainted with spite. When you’re accustomed to hearing worst. episode. ever. it’s easy to hear has some issues with representation with a vindictive subtext. But true criticism isn’t vindictive, which is something that many people (*cough*GamerGate*cough*) don’t understand. There’s a difference between haters and critics, and critics are necessary to the creative process. It’s time to end the reliance on hyperbole in our reviews and critiques. It has its place, sure, but in moderation. Because intelligent, nuanced discussion really is like a cat with a gun riding a unicorn. Best thing ever. I’m not linking to the specific issues I mentioned because I don’t want to give traffic to people who engage in these activities. Yes, the title of this post is ironic. I’d argue that The Lego Movie and the song “Everything is Awesome” are, in part, critiques of the culture of hyperbole. “Everything is awesome, like a Nobel prize or a piece of string.” Indeed. Language is shading… chiaroscuro to sfumato we need extremes of thought in order to do the differentiation thing. I think I would counter whilst agree with your basic premise. In this country I fear we live a bland life, with very little by way of extremes… things aren’t awesome – unless they issue from Saatchis idiotic 100% sisternity of hyperbole. So when lnaguage like that arrives – on the one hand – it’s not our own (the people’s) it’s corporate and secondly it’s not aimed at us – it’s aimed at a market (probably like lego/ Hollywood et al). In my experience my art has never been criticized (well maybe a little)… and it matters sweet f all if anyone has criticized it because I have found it’s demonstrable effect on culture came thirty plus years later… go figure. Barry, I also suspect that the overblown language I see around the place is often compensation for everyday ordinariness. And you’re right that big media’s influence can’t be ignored either.